| Welcome to SCiP net, please enter login credentials. | Continued neural activity confirmed. | The ancient Heart of His severed Right Hand still beats. | Project clearance passphrase accepted. Special Containment Procedures: Provisional Containment Area-XXXX has been constructed around SCP-XXXX. A 1km exclusion zone has been established, and is to be patrolled to prevent trespassers and hostile incursion into SCP-XXXX. All paths and roads within 5km of SCP-XXXX have been redirected under the guise of a Moroccan military facility. 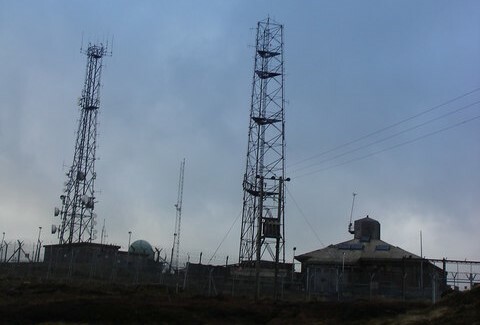 Any radio signals emitting from SCP-XXXX are to be intercepted and jammed by modified radio towers within Provisional Containment Area-XXXX. Personnel wishing to enter SCP-XXXX for any reason must obtain approval from a Level-4/XXXX member of Site-01 staff. Personnel transferring to the SCP-XXXX project are to be blindly transported to Provisional Containment Area-XXXX, and all devices with GPS capabilities must be deactivated upon departure. Any personnel leaving the SCP-XXXX project are required to undergo amnestic treatment and false memory implementation, regardless of clearance or reason for transfer. Description: SCP-XXXX is a clandestine Insurgency facility near Toubkal National Park in Morocco, and is believed to have been constructed sometime in the early 1920s. Preliminary analysis of the facility has indicated very little structural degradation, despite there being no human presence within the facility for over 50 years. The layout of the facility is reminiscent to that of covert Foundation facilities constructed during the 1920s. However, SCP-XXXX lacks any high profile containment units. Given this fact, and the anomalous components of SCP-XXXX; it is deducted that SCP-XXXX was built chiefly for research and utilization of anomalous objects. Below is a list of known areas of the facility organized by levels and sub-levels. For exploration log transcripts, see Addendum XXXX.2.